Retailers like to be on trend, so it was never going to be long before plants took the place of the taxidermy, glass cloches and squirrel-cage light bulbs that were once the visual merchandising props of choice. Department stores also love a pop-up, hosting boutique brands, emerging designers and foreign finds in small niches carved out from their expansive floors. All of this scene-setting and intrigue is part of a mission to drag customers away from their computer screens or mobile phones and back through the revolving doors to be tempted by their wares, just like it was in the good old days. I am a retailer through and through, but even for me physical shopping is a rarity these days. I have my groceries delivered, I order plants and bulbs online and anything hard to handle I have sent to my front door rather than struggle with it on the train. 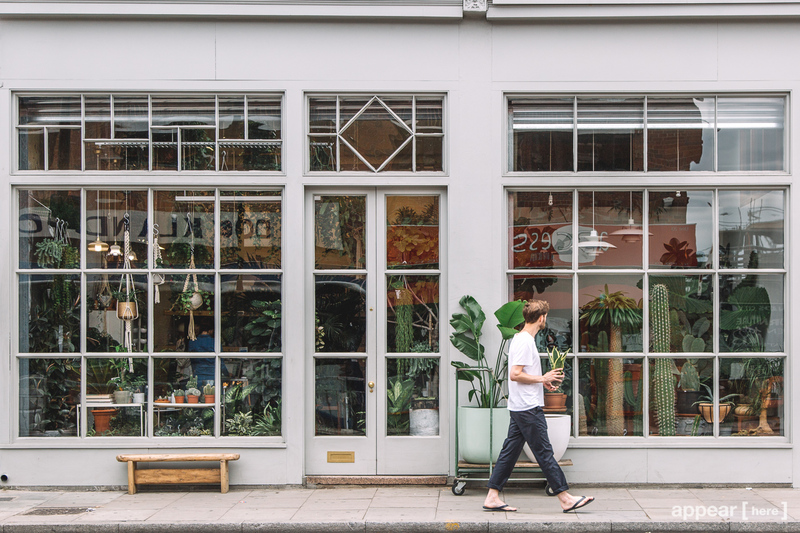 Many shops are not deserving of my precious time and energy – they have not moved on – but a few are making an effort and wooing customers back. If ever there was a shop which could never be replicated online it’s Liberty. Fashioned from the timbers of two ships, HMS Impregnable and HMS Hindustan, the vision for the mock-tudor department store was to create an Eastern-style bazaar. The shop, completed in 1924, was engineered around three light wells. Each of these wells was surrounded by smaller rooms to create a homely feel, and many of the rooms had, and still have, fireplaces. Liberty has changed very little over the years. It’s perhaps a little creakier, but still rooted in the Arts and Crafts and Art Nouveau movements. I visited this week to take a look at Liberty’s newly opened Christmas shop. It’s always charming but never any different, so I left empty-handed for the first time in living memory. We open our Christmas departments early in London to satisfy the demand from tourists. I was the only Englishman there, so I am certain I stood out like a icecream van in a nativity scene, especially considering that I work for the competition. 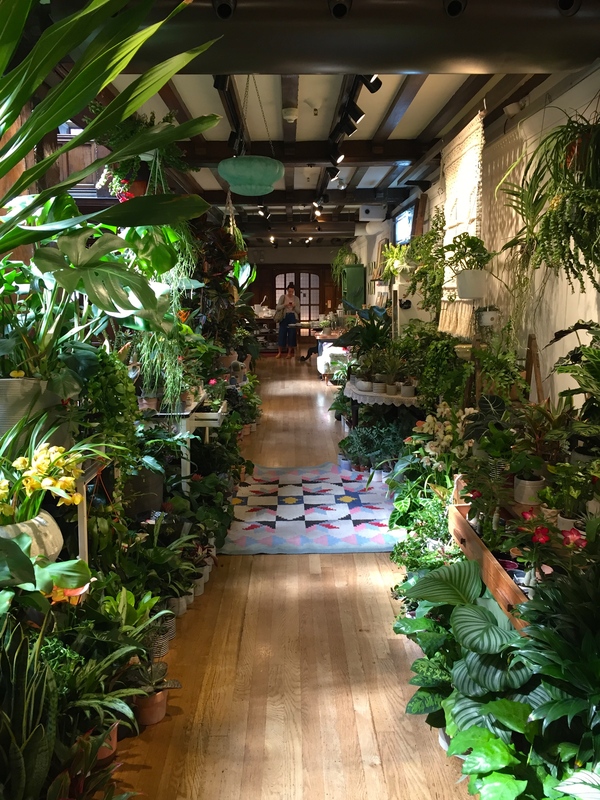 As I headed for the ground floor, I stumbled upon a sunlit corridor bursting with plants. This, I learned, was a pop-up created by Hackney horticulturalists Conservatory Archives. Anyone who’s familiar with London will know that if it’s ‘happening’, it’s happening in Hackney. 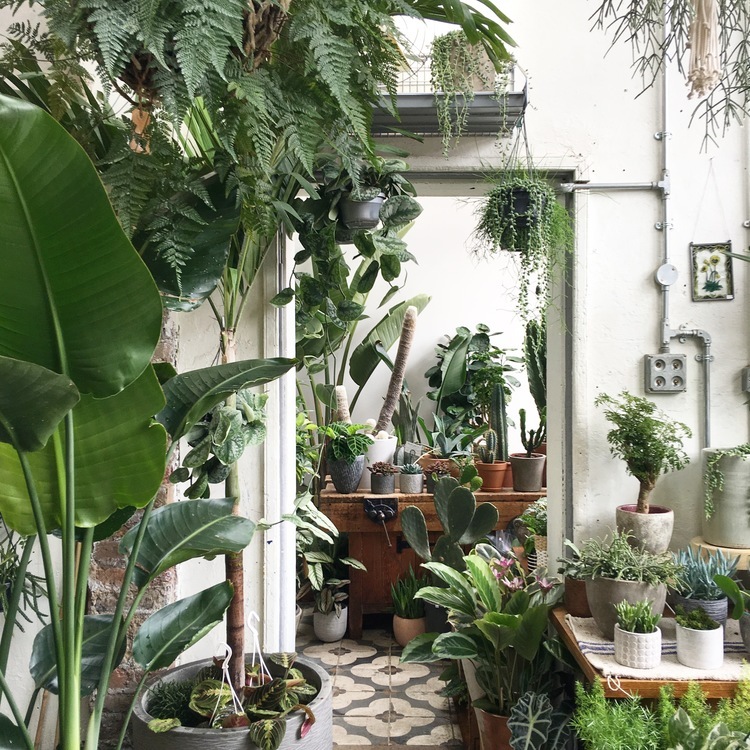 A quick glance at their Instagram account (conservatory_archives) will reveal a vision of hanging hoyas and magnificent monsteras that is putting houseplants back on homeowners’ lists of must-have accessories. I look at these wonderful plants – euphorbias, colocasias, marantas, kalanchoes, orchids and tradescantias – and wonder how long they survive once they leave the store. All these plants gathered in artistic abundance look picture-perfect, but most will not have met in nature and each will need looking after very differently. I have experienced this difficulty in my own lowly garden room and, boy, is it hard work to keep them all fed, watered and tidy. What Liberty and Conservatory Archives are doing is selling a dream: as dreams go, this is the kind I’d prefer to have, even if it’s unlikely to come true. These are not the only retailers jumping on the bandwagon. 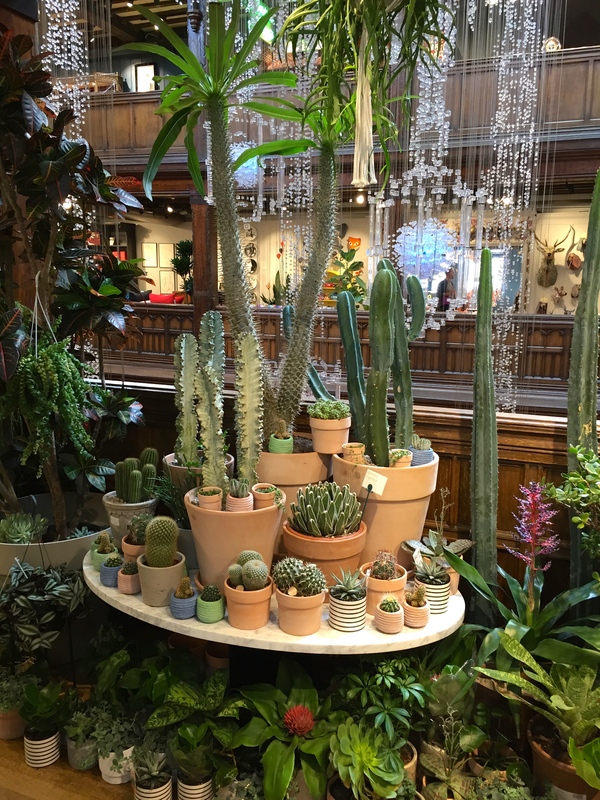 Petersham Nurseries have recently opened spectacular premises in Covent Garden, defying convention by bringing plants back into a garden which has long since vanished under brick and stone. I’ve yet to visit, but reports are that it’s high on elegance with prices to match. Tired of all the Brexit talk, it’s a reminder of London’s utter imperviousness to any kind of economic turmoil. The capital goes on, a microcosm of capitalism, getting bigger and better all the time. Should I not have tempted you away from your laptop or mobile device to buy a fern for your front room or a dracaena for your dining room, there is now a cool, trendy website from which the novice can source plants. Patch was founded by a young chap called Freddie Blackett who wanted to find plants that would grow on a east-facing balcony. He tried and failed and few times, before deciding to help himself and others by creating a source of plants for people in a similar predicament. Every plant is given a human name, which is faintly amusing but something I struggle with slighty. I assume this is an attempt to make the merchandise sound more approachable. 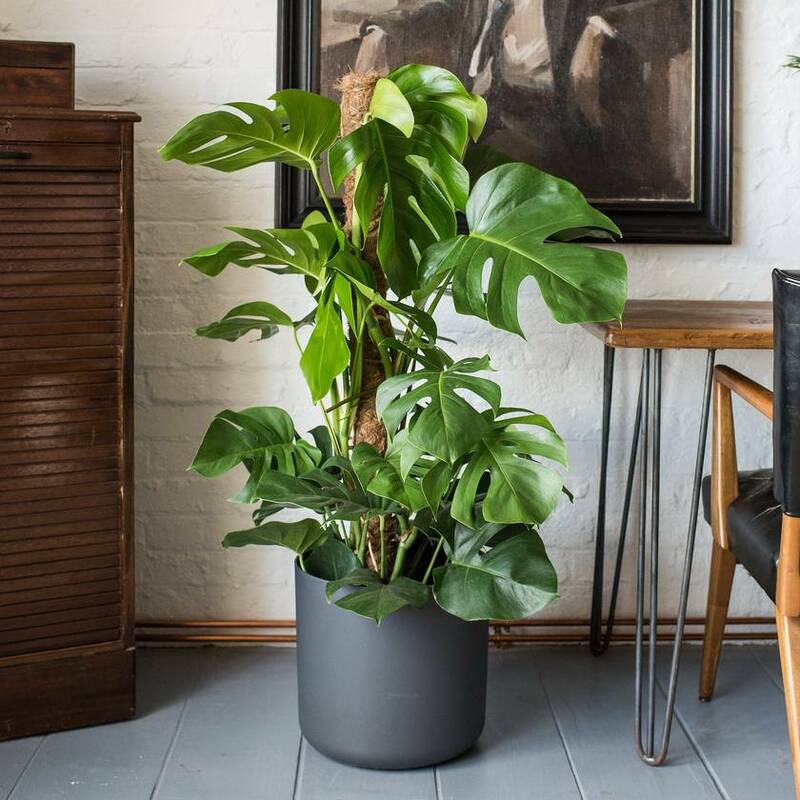 One can buy a statuesque Euphorbia ingens called ‘Ian’, a fat-leaved Ficus lyrata called ‘Big Fidel’ and ‘Chaz’, a classic Monstera deliciosa. Although I find the names a bit cringy, this endeavour is not aimed at people who are confident in what they are looking for and is a valiant attempt to get people interested in gardening, one plant at a time. I for one have never felt comfortable in a room which does not have at least one plant, or a vase of cut flowers. 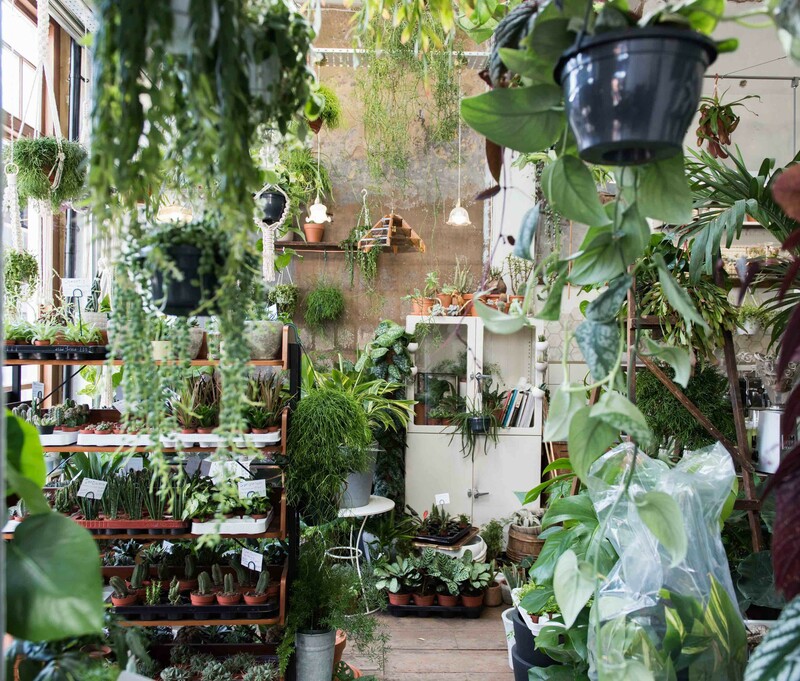 Whether houseplants are trendy or not does not bother me, but their growing popularity does mean that there is more choice of what and how to buy than ever before. If you have a room that’s missing a certain je ne sais quoi, then the answer is a plant … and now there’s no excuse not to buy one. TFG. I have always had house plants as a part of my life. My mother would bring me flowers from the market and my dad always had his geraniums brought in for the winter. Virtually all of the windows in my home face south, I live in an old warehouse. Caring for my plants keeps me sane as the snow falls. Since I read, mostly, english blogs I have read a lot about this new passion for house plants in England. I think it’s great, as you said every room needs some greenery, I will add books to that thought, I know you agree with that. I have passed this enjoyment on to a younger generation, my daughters have house plants and my pet sitter fell in love with my monstera so I passed one on to her, she named him Phil. I get regular reports on Phil. Love it. Brilliant! Since I wrote this post I keep looking at plants and wondering what I’d call them – Should the strelizia be Steve or Shirley? Would it be silly to have a jasmine called Jasmine? This requires careful thought. Your mention of snow reminded me that I need to make plans for digging up and re-housing a dozen aeoniums, two huge sparmannias and several other plants before it gets seriously chilly. Not a job I am looking forward to. Liberty is my absolute favourite shop and I always try to squeeze in a visit when I’m in town. I saw the Petersham Nurseries shop a few weeks ago but didn’t have time to go in. I do not have a good track record with houseplants but I have a couple of very long-suffering spider plants! All these here (lovely photos!) inspire me to try harder (but I’m not sure about giving them names…) By the way, my friend Veronica Peerless has written a great book ‘How Not to Kill Your Houseplant’ (DK) 🙂 Have a good weekend. I don’t think even that would work. New compost might, though! It is wonderful to see these greenery places through your eyes. Patch has something with the plant names, though it is a shock to see the names so prominent, even when pre-warned. We name our domestic animals, so why not our plants – particularly if they’re going to live with us for years and will take up as much space as a medium sized dog? The real names are tricky for non-plantspeople, so this may widen the market and make things more accessible. What does seem strange is not to allow us to sort by name. Do you mean you’ve never played ‘Name a Common Vegetable’ on long road trips? 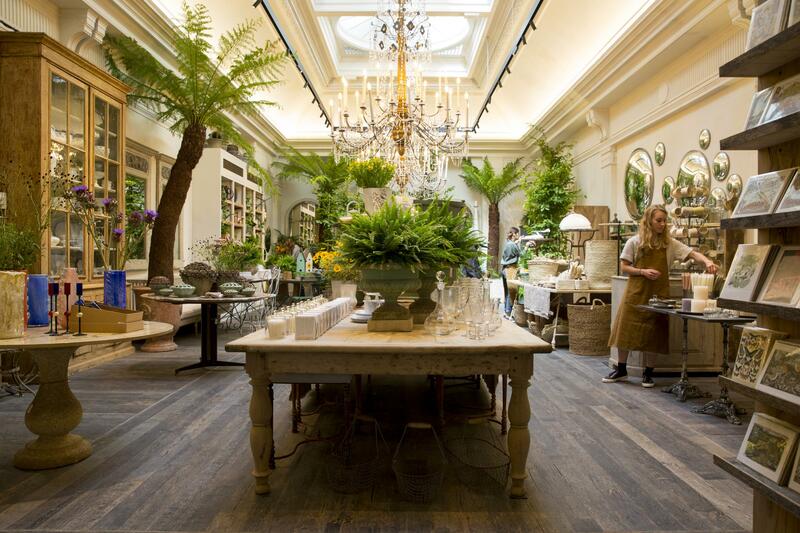 What a treat to visit these trendy London plant shops, from my armchair across the ocean! I’m afraid I buy most of my many houseplants from big box stores here in the US, plus a few more exotic finds via mail order from Logee’s in Connecticut. 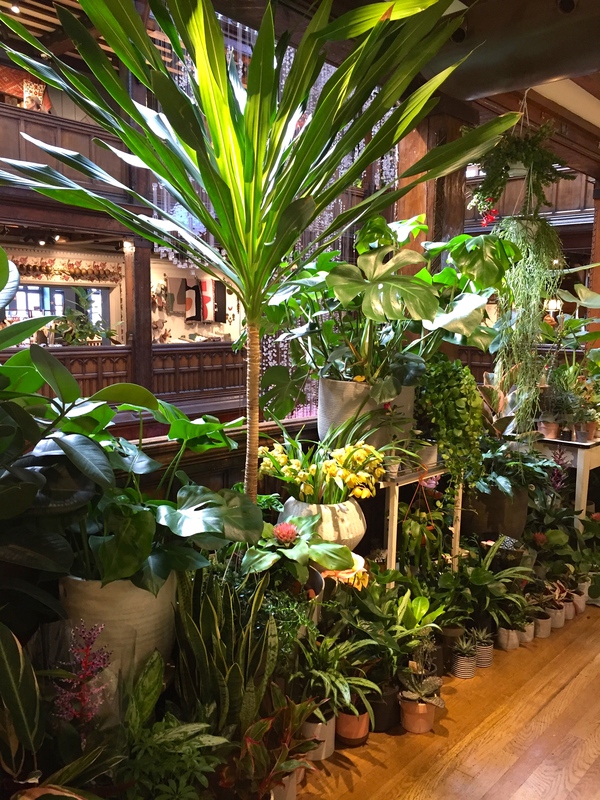 It’s the beginning of Houseplant Season here, when cold-climate gardeners’ thoughts turn to creating our own bit of the tropics indoors, and almost time to move plants back in for the long winter. Again, thanks for the armchair shopping trip to these beautiful retail plant displays! My pleasure. Likewise I am thinking about which plants look smart enough to come indoors for winter and which will sit it out in the greenhouse. My issue is that everything gets so enormous during the summer – some of my houseplants are 5 or 10 times the size they were when I put them outside. I might have to let them take over the house and go and live in the garage. Thanks Helen. Starting to feel distinctly autumnal here. I was hoping for a balmy September but it’s not materialising! This does ease the watering burden however. Liberty said the plant pop-up will remain until Christmas. Plenty there I’d put on my Christmas list! Thanks for the information about Liberty being made from the hull of two ships. I’d always wondered where the original interior cane from. Yes, it does explain a lot doesn’t it? Marvellous example of recycling!! I have a Begonia plant called Jeremy. A rooted cutting given to me when I was in halls at Writtle College 20 years ago by a friend of a friend named Jeremy that I, with my mum’s help in intervening years, have kept going and cloned ever since, the plant I mean not the man; not sure of his whereabouts now. What’s your own most treasured houseplant (and its story)? Do you as a rule “oversummer” them outdoors, or just some of them? Oops, should be “conditions” and gardening “expertise”, of course!